We ask that you send your best technicians to this event. IAGI will be inviting all those who attend the Geosynthetics 2019 conference to this gathering and we want our CWTs to shine! Put your company’s best foot forward and let your CWTs shine on the GeoGames battlefield! 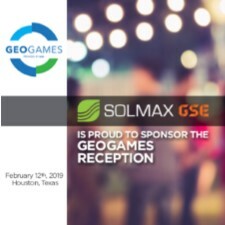 At the GeoGames, each team will be asked to extrusion weld and wedge weld a variety of materials into an array of configurations (pipe boots, challenging angles etc.). The teams will be notified of the exact welding expectations, geomembrane types and grading process approximately 45 days in advance of the GeoGames. Points are given for both quality and speed of installation Judges will be on hand to test and grade the quality of the installation. The winner of this event will take home a trophy and bragging rights. You must be a member in good standing of IAGI as of 1 January 2019. You must hold a CWT that is current as of 1 January 2019 and that does not expire until after 13 February 2019. Teams will compete in the order that their application is received by IAGI. The application is found in the PDFs linked below. Fees must be paid to confirm the team’s position on the roster. You are asked to wear a company team shirt that includes your company’s name / logo. You will be given a safety vest and hard hat to wear during the event. IAGI wants to demonstrate that IAGI members take safety seriously—even when we get together for a good time. You provide the equipment your team needs to win! Bring your welding equipment, markers, cutting equipment and a competitive spirit. We will provide the electricity and outlets needed. If you are coming from outside North America, contact IAGI and we will try to arrange an equipment source for you here rather than contend with different outlet configurations, getting equipment through customs and the other hassles of traveling with welders in tow. No drinking of alcoholic beverages is allowed by team members until after they have completed the competition. Once the team is done competing , they will be free to imbibe at the complimentary adult-refreshment station. (provided they are 21 years of age). There is a $550 (USD) registration fee. You can pay via credit card, check or wire. If you need an invoice, email Laurie Honnigford at [email protected] and ask for an invoice. Wire information will be provided on the invoice. Please include a short resume / CV for each team member and a short company description. This will be used by our announcers for commentary during the welding competition. Send your application to IAGI at [email protected] or mail 8601 West Cross Drive, Suite F5, #220, Littleton, CO 80123, USA. If you have questions, call +1 (720) 353-4977. We have two application forms - a PDF you can print and fill out and a PDF Form that you can fill out on the computer, save, and send to the email . You will need Adobe Acrobat to save the PDF Form to your computer. If you plan to send a team to the GeoGames, check out what your team will encounter at the games.